Cevat Yerli is President and CEO of Crytek, creator of the CryENGINE and the multi-award winning Crysis game franchise. Cevat’s first game development experiences go back to the 1980s with the Commodore 64 and the Schneider CPC 6128, where he worked on various simulation games. While studying economics in the 1990s, he continued pursuing his passion of creating and playing games and began working towards his dream of founding a game development company. In 1999 he then founded Crytek together with his two brothers, Avni and Faruk. Cevat gives creative direction for all Crytek products and focuses on expanding the company into new territories. As technology evolves, the common ground between movies and games is becoming increasingly significant to the future of our industry. In his upcoming D.I.C.E. Europe talk “Movie Technolgies Empowering Next Generation Games,” Cevat outlines how the tech powering blockbuster film experiences is being put to use by Crytek to draw players deeper into the game world and evoke emotion like never before. From the integration of acting and performance capture to increased directorial power over lighting and camera movement, Cevat offers up the evidence that Crytek and others are making the most of the increasingly blurred lines between cinema and gaming. A lot of my time is being dedicated to our own games right now, mainly Ryse and our Warface Closed Beta. Away from work, I recently finished The Last of Us. I'm obviously very excited about what lies ahead on Xbox ONE and PlayStation 4. The recent arrival of Diablo 3 was much anticipated for me too. I've been very impressed by the Leap Motion Controller and the novel possibilities it introduces. Currently it’s a magazine called “Cinefex” but in general it’s the internet – I’m browsing the news constantly and get a lot of inspiration from there. 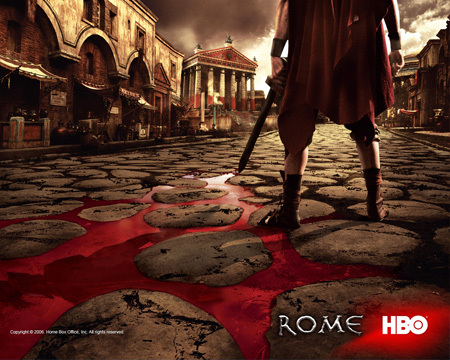 Definitely Rome and Spartacus and of course Gladiator which is one of my all-time favourite movies. Those things really inspired me to make a game like Ryse. People often seem surprised by this, but I don't actually listen to music too often. At the moment, that would be Yammer – a business-centric social network that I've found very useful. A lot of things. I have my very own gaming office that has all the current consoles – Xbox 360, PlayStation 3 and also the Wii – and of course a high-end PC. 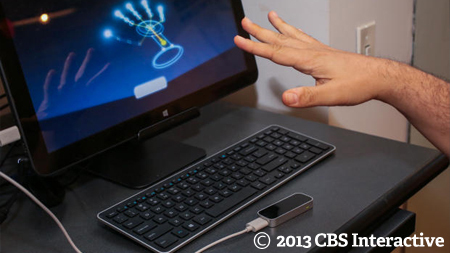 The one I already mentioned – the Leap Motion Controller. It's a lot of fun!